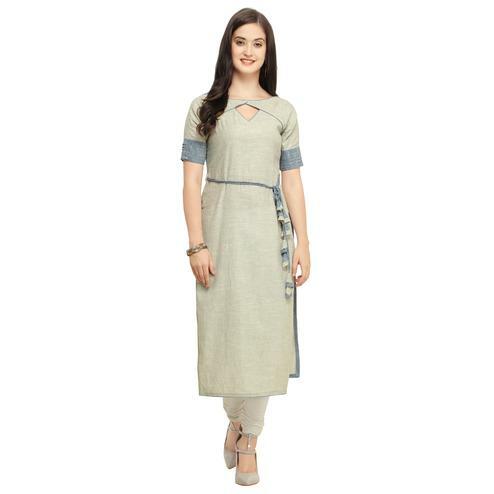 Featuring grey georgette fabric kurti having v style neckline, button placket, 3/4th size sleeves, geometrical embroidery work and front slit cut as shown. 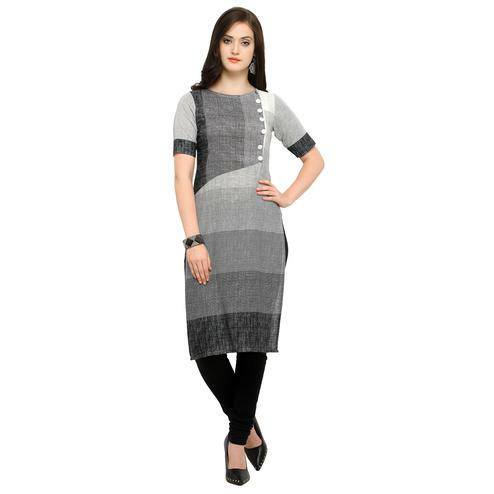 This ready to wear kurti is best suited for parties and events once it has been paired with perfect bottom. Buy this kurti now.